In a new "The Future Unfolds" ad for its upcoming February 20 keynote event, Samsung today teased hints of its upcoming "Galaxy Fold" foldable smartphone. 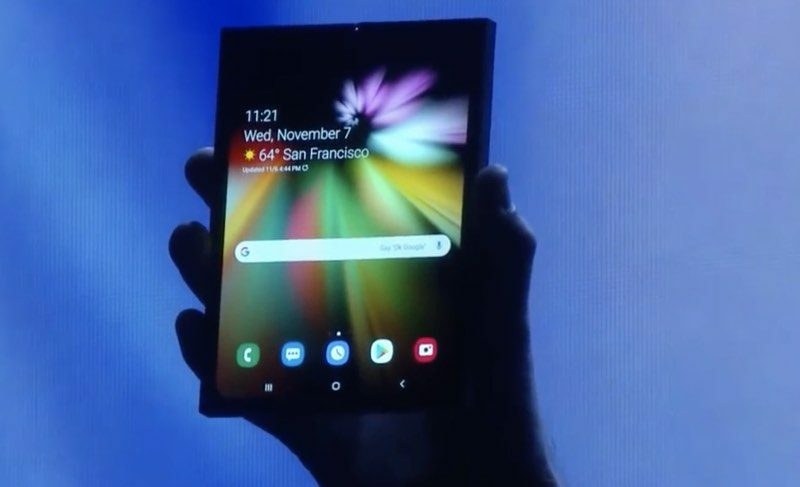 Not a lot can be seen in the video, but the words in the video appear to wrap around a foldable surface, a reference to Samsung's first smartphone with this folding design. Samsung in November introduced its Infinity Flex display technology, demonstrating it in a device with a 7.3-inch flexible display that can be folded right in half, collapsing from a tablet size down to a smartphone size. At the time, Samsung said that it had to invent new materials and reimagine the display from the ground up to create its Infinity Flex technology. Samsung is developing a new software platform for the device in partnership with Google, which is designed to support two UIs - one for when the device is open and one for when the device is closed. Samsung's foldable smartphone will debut at its upcoming February 20 event, which will also see the launch of the new Galaxy S10 smartphone lineup. The Galaxy S10 devices won't feature foldable displays, but there will be three options at various price points and with different display sizes. Samsung's Galaxy S10 lineup is expected to feature small "hole punch" camera cutouts to maximize available screen area. Samsung will introduce its new smartphones at 11:00 a.m. Pacific Time at the Bill Graham Civic Auditorium in San Francisco, California, months ahead of when Apple will debut its 2019 iPhone lineup. There have been some rumors suggesting Apple is exploring foldable display content, but right now, there's no concrete evidence that Apple is working on a smartphone with a foldable display. Sure, but this one is way... way more innovative than any iPhone ever made. It will certainly do much more than any iPhone in the next 5 years ... or 10. This comment is definitely not going to age well. For those saying its too thick, the device shown was a early prototype, which the demonstrator said was heavily disguised. Its likely the finished article will be much sleeker. Imaging an iphone in your pocket, that unfolds to an iPad. What a great piece of hardware (just need iOS to catch up). 1) Bending/folding screens are really cool tech. I think they have a future in mobile and non-mobile devices. 2) I don't mind Apple not jumping on this first, because most of these first tries are going to range from bad to terrible. Samsung's might have more polish than the rest. 3) Prepare for LOTS of click bait, hit pieces, hot takes, and bad PR from the tech media (this very site will probably be one of the ones leading the charge) for the duration of 2019, and probably most of 2020, claiming that Apple is toast without a folding phone. 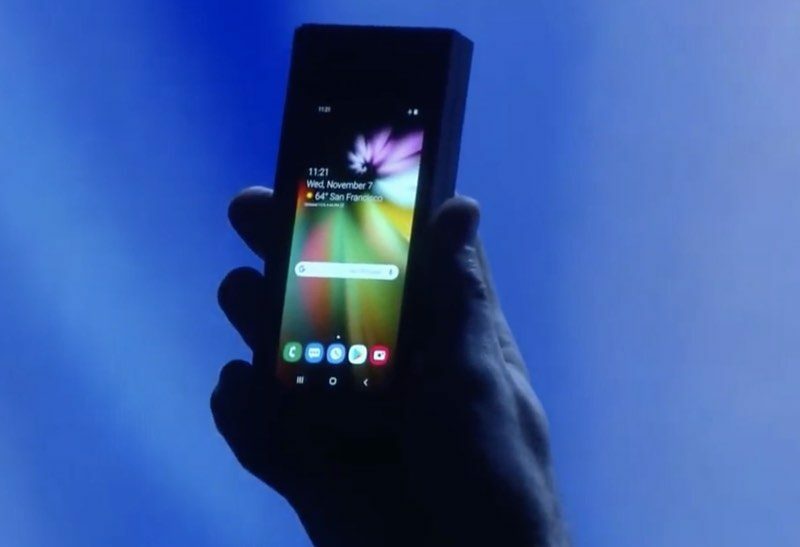 They can shove that stupid foldable phone... Why would anyone want that? I bet if Apple bring one out you will buy it. 1. All OLED screens are not the same. During the iPhone 5 days, OLED screens at the time weren't color accurate, there wasn't wide color support, poor color saturation. During those times LCD also weren't very color accurate. And Samsung phones had even in those days more Color Modes with one of them close to sRGB calibration. This is a piece of information which was always ignored with passion by their critics. QUOTE: "The Super Retina display in iPhone X, iPhone XS, and iPhone XS Max was engineered by Apple to meet our incredibly high standards." 100% proven wrong. Feel free to reply but I'm not going to read. You're wasting too much of my time. Honestly that sounds like exaggerated marketing. I remember that a guy from The Verge mention he asked Apple what was their involvement regarding the creation of the OLED screen in the iphone X and they refused any comment, the only words they presented were: engineered or designed which according to him and the rest of the tech press present are way to ambiguous and don't allow anybody to understand Apple's actual involvement regarding this matter. Not sure who wants that but ok. Sounds like back when some people asked, "Who wants a screen bigger than 4 inches." Both of those have very strange size dimensions and aspect ratios. More of a flip phone than foldable really — doesn’t quite strike me as futuristic as a full bezeless translucent display would. Still, it’ll be interesting to see them make the plunge and how it turns out.